OFFICIAL RSD 2019 release. 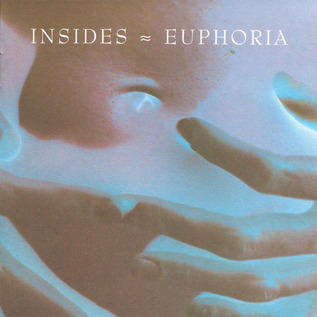 Beacon Sound present a reissue of the 1993 album Euphoria by UK duo Insides (previously Earwig). Euphoria sits at the crossroads of a very exciting time in the early 1990s when artists like Seefeel, Moonshake, and Aphex Twin were mining emerging technologies and pushing British music in new directions. A leftfield electronic pop album without peer, Euphoria incorporates programmed beats, elements of neoclassical minimalism, and the soothing voice and acerbic lyrics of singer Kirsty Yates into a memorable and masterful collection of songs that sound Like nothing else, either then or now. Reviews at the time reference composers like Steve Reich and Brian Eno as well as groups like My Bloody Valentine and AR Kane and describe it as being both "danceable" and "ambient". Limited edition of 2000; gold-foil numbering. Essential.